Everyone is in favour of technology that increases security and safety but a common concern is how much will it cost? Other worries include possible creation of bottlenecks and inefficiencies at key points in the supply chain (e.g. major sortation centres) and increased complexity of operations. The SAFEPOST has adopted a highly innovative approach, combining advanced screening technologies with real-time optimisation algorithms to create an integrated security platform that enables postal and parcel operators to increase security while actually reducing operational costs at the same time. 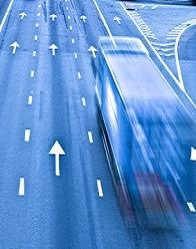 MJC²'s optimisation systems dynamically update the logistics plan based on real-time data (e.g. responding optimally to operational issues such as traffic problems or unexpectedly high volumes). This ensures that at any point in time the planned activity is optimised, leading to very substantial operational cost savings. Furthermore, hub scheduling systems optimise the flow of items through major sortation centres by automatically allocating to the right doors/areas of the hub and smoothing the arrivals profile to reduce queues and maximise throughput. For large postal and parcel operators this is very attractive as the hub is often a key bottleneck in the supply chain, and even an increase in effective capacity of a few % translates into millions of euros. One of the most important results is the synergy between security and operational optimisation. The increased availability of real-time data that is made available by more sophisticated security and tracking systems can be used by optimisation software to generate a direct reduction in operational costs. At the same time, the introduction of advanced automated scheduling and optimisation software means that the operation is tightly managed, allowing better control of routing and scheduling of logistics and hub activity, leading to increased visibility and security. As soon as a potential threat is detected the security team has enhanced real-time visibility of the whole operation, as well as sophisticated tools to control the flow of items and vehicles (e.g. directing trailers to a secure area of the hub). Increased logistics efficiency: optimised transport schedules mean reduced costs and better quality of life for personnel. Typical savings for a large organisation run into millions of euros. Increased sortation capacity: optimisation of hub and sortation activity means increased effective throughput and shorter sort times. Increased security & safety: not only in terms of reduced risk of hazardous materials being transported in the supply chain, but also reduced risk of theft or transfer of illegal substances/materials. Reduced environmental impact: the optimisation systems minimise empty running by trucks and reduce congestion and queuing at busy distribution centres.